Winter is not a season for lovin’ in Melbourne. When it’s sub-five degree weather at midday (what is this hell?! ), it’s too cold to leave the house—let alone with your open-toed heels and your favourite LBD (unless you’re willing to catch pneumonia for that second Tinder date, no judgement). 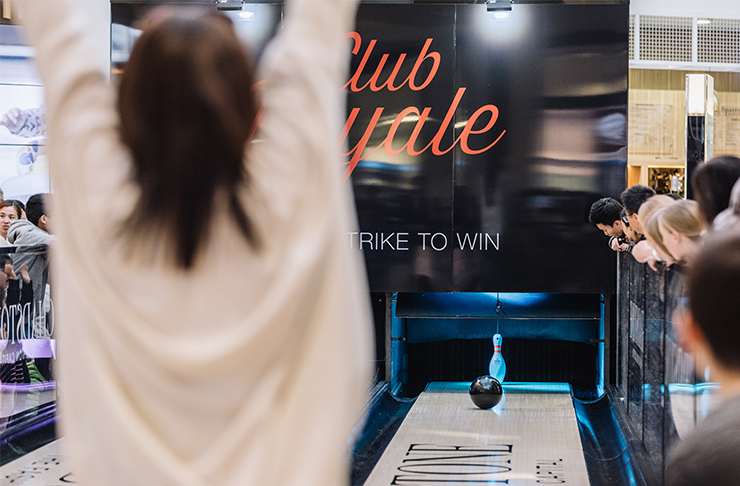 Luckily, our mates at Chadstone have just launched Club Royale, a month-long pop-up event (aka the ultimate date night for chill couples). It’s also indoors, the vital benefits of which we shouldn’t have to explain. Across three separate spaces, Club Royale runs throughout August every weekend and encompasses Club Royale Bowling, Club Royale Arcade and Club Royale House of Skill. Over $200,000 worth of prizes are also up for grabs, you just have to win them. Impress your partner with prizes from retailers including Tiffany & Co., Laduree, The Daily Edited and more. Luxury prizes are visually represented in each claw machine at Club Royale House of Skill. Manoeuvre your chosen prize into the chute, because you can’t buy love, but Tiffany & Co. significantly increases your chances. 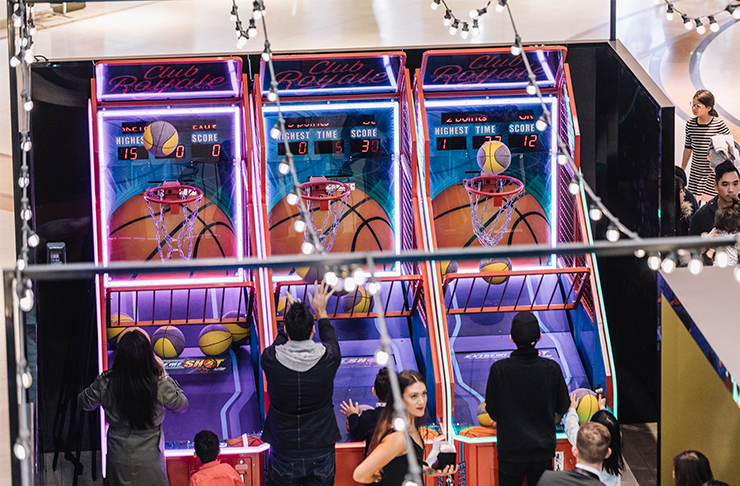 Get a little competitive afterwards (endearingly competitive, of course) at Club Royale Bowling, or head to the Club Royale Arcade to play vintage video games from your childhood. Retailers throughout the shopping centre are open until 9pm on Saturdays and 7pm on Sundays. There are plenty of ways to splash out after Club Royale including shopping (Fendi, Saint Laurent and Zara are some of our fave stops), lounging in recliner leather chairs with the latest blockbuster at HOYTS and feasting with some of Melbourne’s biggest food names at the Dining Terrace including Burger Project, New Shanghai and Mezz Food and Wine. Club Royale will be open from 4pm to 9pm Saturdays and 4pm to 7pm Sundays throughout August. The luxurious new Dining Terrace and state-of-the-art cinemas will also be open late. The best news? Five $1000 Chadstone gift cards are available to win, simply have your Club Royale loyalty card stamped at every location for your chance to win all the future dollies for date night. Where: Club Royale Bowling, located outside Target | Club Royale Arcade, located Lower Level outside Myer | Club Royale House of Skill, located outside Tiffany & Co.